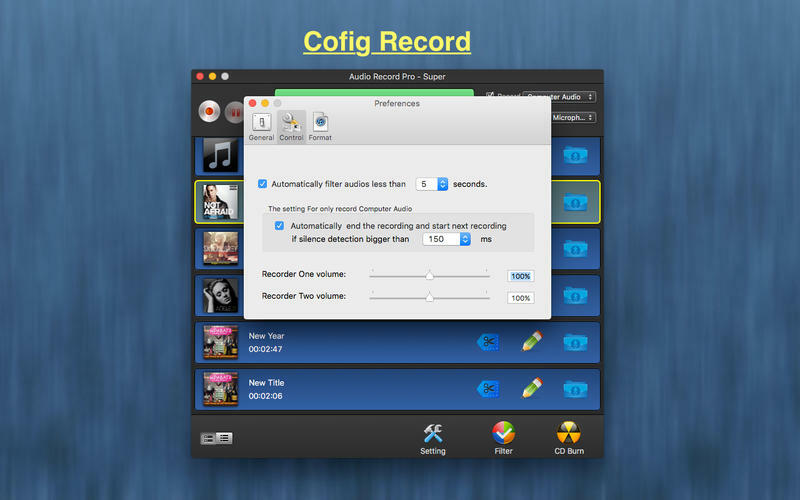 The app is easy to record computer audio, online music, software audio, iTunes audio and mic audio . The app can record internet calls , such as Skype call or other chat software . The app can edit recorded audio file ( ID3, trim, split, fadein/fadeout, audio volume ) . Pause and Resume recording . Record mic and other audio devices . Mix record two audio sources . 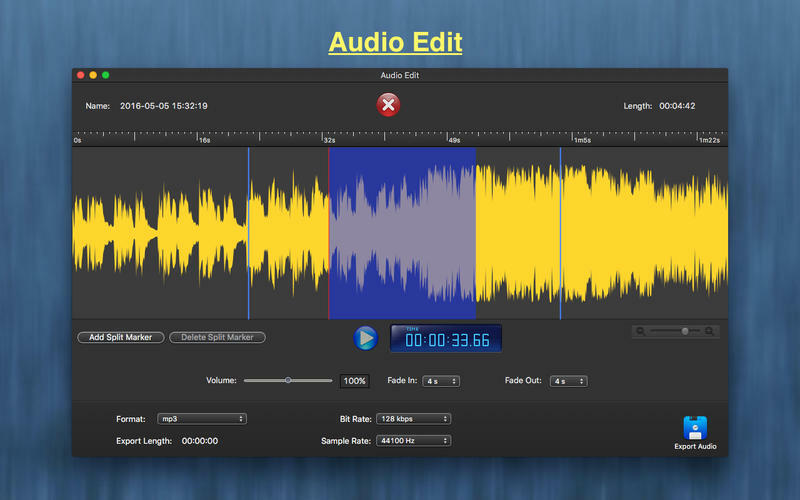 Trim and split the recorded audio, adjust audio volume. Auto split audio files . Custom audio format (mp3, m4a, wav, m4r, can, aiff, flac ), Bit Rate, Channel, Sample Rate. Want to listen to your favorite songs, radio programs and audio from video anytime and without needing an internet connection? Just record these streaming audios with the professional Mac audio recorder. 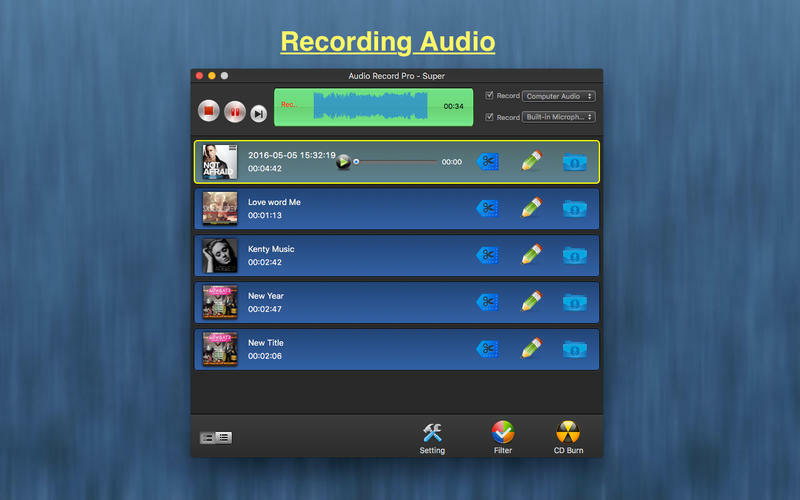 Audio Record Pro is the best ever Mac version Audio Recorder, which empowers you the ability to record any online music and radio programs with 1:1 quality in a single click.